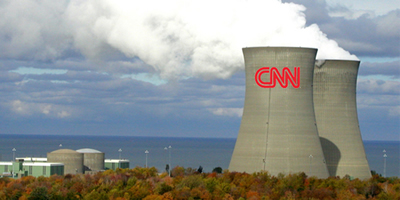 CNN is airing the pro-nuclear power documentary Pandora's Promise. The film tells one side of the nuclear debate, profiling a few people who were once critical of the nuclear industry and are now boosters. Feel free to add a comment for CNN. By taking action you will be automatically signed up for action alerts from Roots Action and from FAIR. We consider your contact information to be private and confidential. We will NOT disclose it to any other entity unless you specifically authorize us to do so. You can unsubscribe at the bottom of any email you receive from us.